We have chosen a select few pieces of evidence below. They are from various cases throughout the years. For optimal sound, plug in a headset/earbuds whatever you have and turn up the volume. It should be noted that we have also included a video of a paranormal attack that happened a few years ago to Jerry Ayres, our fearless leader, during an investigation. 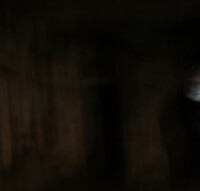 Included on this investigation were SIM followers who wanted to experience a paranormal investigation. Part of our mission is to educate people that the supernatural is not without danger; there are dark supernatural forces out there that do intend to harm people, and they do succeed. 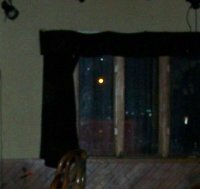 The Ghost Girl of Stasiu's Bar is the first photo on the left hand side. Look just beneath the street light in the first pane of the window, you will see her. This was taken on the second floor of the building in 2010. 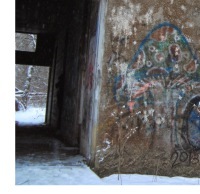 The second photo on the right hand side was taken on floor 5 of the Waverly Hills Sanatorium. Look to the extreme right hand side and you will see what we believe to be a spirit. 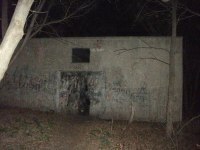 This photo was taken in 2014, during our investigation of the big old hospital. Please watch this if you are planning on investigating the supernatural. It can be dangerous. While walking through this old abandoned hospital, we heard the voice over ours saying "we can hear you". We knew we had to investigate, and we did. 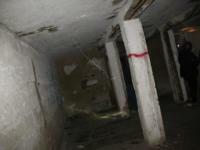 It was a highly active old hospital, and one that we can only share limited evidence. 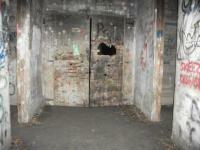 This was captured during our investigation of the hospital in northern Minnesota. At 14 seconds, you will hear a voice cry out in pain. This home in western Minnesota had high supernatural activity. We believe it will always have activity, because there is an old well in the basement in what is called the well room. While performing a house blessing/cleansing, we picked up a voice that clearly wasn't happy. A gravely voice, we think it is saying something about "get it away" referring to Cruicifix or the Holy Water. During the cleansing and house blessing, an unseen force broke the pulled the Crucifix off the cross. The Crucifix has never been found. During the cleansing and house blessing, an anomoly comes through.